I started reading a really good book on Sunday night. And then I forgot said book at work when I left on Monday! Thus, I needed a one-night substitute. Enter Dan Brown. 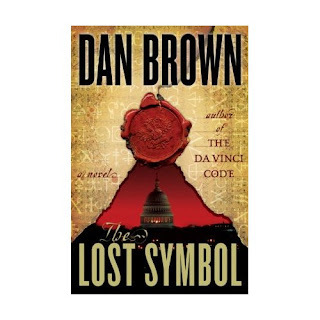 Yes that’s right, I am currently reading the super-awesome (if not poorly written) new Dan Brown book – The Lost Symbol. And it is everything one would expect out of a Dan Brown book. I should know, I’ve read them all. First thing’s first, this was all pre-movies, pre-media hype. I am no slave to trends! In high school I was very into ski racing (and anyone who knew me then would know that’s like the understatement of the century). A big part of ski racing is race cancellations due to weather. As in, you can travel to an obscure mountainous location and just not race because of storms/ice/rain/blizzards/winds. This happens quite often. 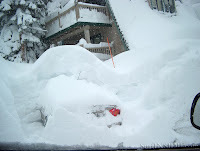 So anyway, one time, in Mammoth, such a storm struck. We (my mom and I) were snowed in at a friend’s condo for a week. “I curse you Dan Brown! This was my thought as I awoke, bleary-eyed, early on a frosty morning in Lhasa. I’d gone to the book exchange at the guesthouse the night before and rummaged through its quirky offerings. I left beingd an exceptionally boring book about Shanghai – a real drudgery, makes-you-think-of-homework kind of book – and picked up Angels and Demons by Dan Brown, because when confronted by a forty-eight-hour train trip to Chengdu it’s good to have a fat, plot-intensive book. But is was just too tasty. Just one more chaptet, I thought as the clock ticked past 2 a.m. It was only when the power failed at 3:30 in the morning and my room plugged into darkness that I finally set the book aside. But the damage had been done. I had little more than 100 pages left. Oh Troost, I totally agree. Though a modern-day Shakespeare Brown is not, he is, without a doubt, master of the plot-driven narrative. And this new one is all in DC! So obviously the very high-quality literature I started reading Sunday night has fallen to the wayside to make temporary room for The Lost Symbol. I only wish I were in a position to read it all at once! Unfortunately things like running, work, electricians, plumbers, sleep, and eating have obstructing my own personal quest to finish this book asap – so it is still a work in progress. Dan Brown is like a force of nature, if you like his books, you will read this next installment. So clear your schedule and enjoy the ride! The book sold 2 million copies in its first week! Good Morning America interview with Dan Brown. "Dan Brown's 20 Worst Sentences"